Decades of poorly managed mining had left toxic waste behind. Mapping is the first step towards environmental remediation. 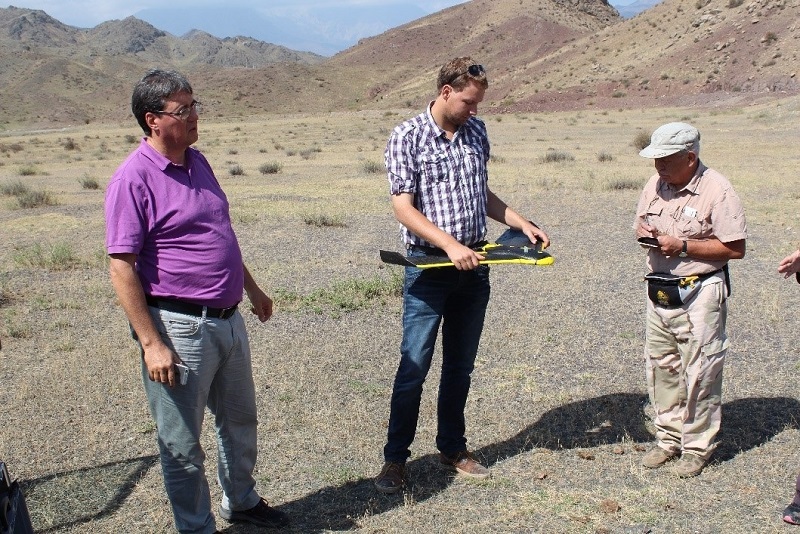 The Swiss Foundation for Mine Action and Aurea Imaging collaborated a mapping project with the Kyrgyzstan Ministry of Emergency Situations, using a senseFly eBee and Pix4Dmapper in order to estimate the volume of toxic tailings, control erosion and contamination of the environment, further relocate the tailings and take actions for remediation. During the Soviet Union period, a significant amount of industrial materials such as lead, zinc, etc. were produced in Kyrgyzstan. As a result, toxic mine tailings were released, becoming chronic sources of heavy metal contamination and causing irreversible damage to the environment. In September 2015, the Swiss Foundation for Mine Action (FSD – Fondation Suisse de Déminage) and the Kyrgyzstan Ministry of Emergency Situations initiated an assessment of three lead and zinc tailing sites in Sumsar Valley, discovering that two of the three sites needed immediate remediation. This project aims to provide an environmental analysis of the former Soviet tailings as well as a feasible solution to prevent further erosion into the air, water, or other surrounded natural resources. Two types of drones were used in the project. A professional mapping drone, the senseFly eBee was used to fly over the entire region at an altitude of about 175 meters. The SONY Cyber-shot DSC WX220 camera on-board captured the nadir images, which were used to generate the 2D and 3D results for erosion analysis. Two 30-minute flights were conducted with the eBee, taking 343 and 317 images with an average ground sampling distance of around 5 centimeters. The task of FSD was to provide high resolution reconstruction results to assist in decision making: using Pix4Dmapper, they produced a 2D map and 3D surface model from the acquired images. 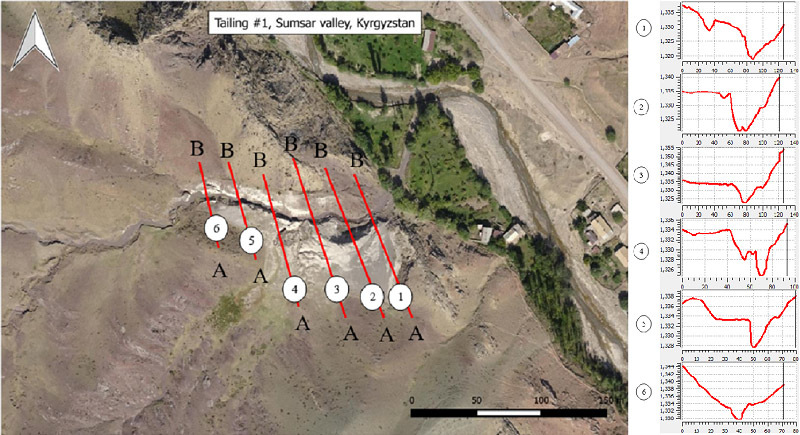 Orthomosaic and DSM of the Sumsar Valley, Kyrgyzstan, showing the three tailing sites. 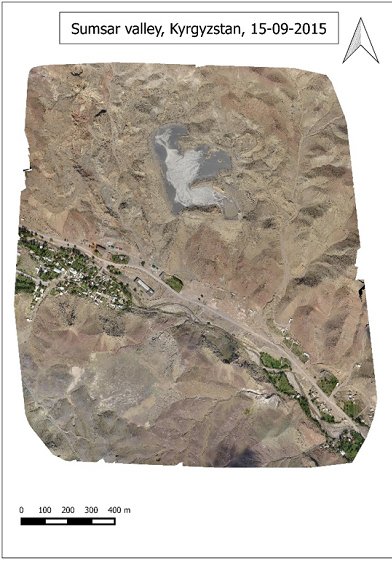 Eroded tailing volumes can be calculated based on the 3D point cloud generated in Pix4Dmapper. 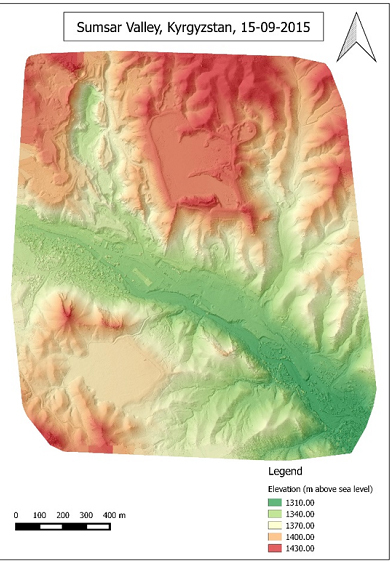 With the gridded digital surface model (DSM), we can compute the slope referring to the elevation, as well as conduct simulations that help predict landslide risk. Using drones and Pix4Dmapper, the task was able to be completed within a day, including preparation, flight, and image processing time. To achieve the same outputs using other ground surveying methods, it could have taken weeks in addition to risking personnel exposure to a toxic environment. 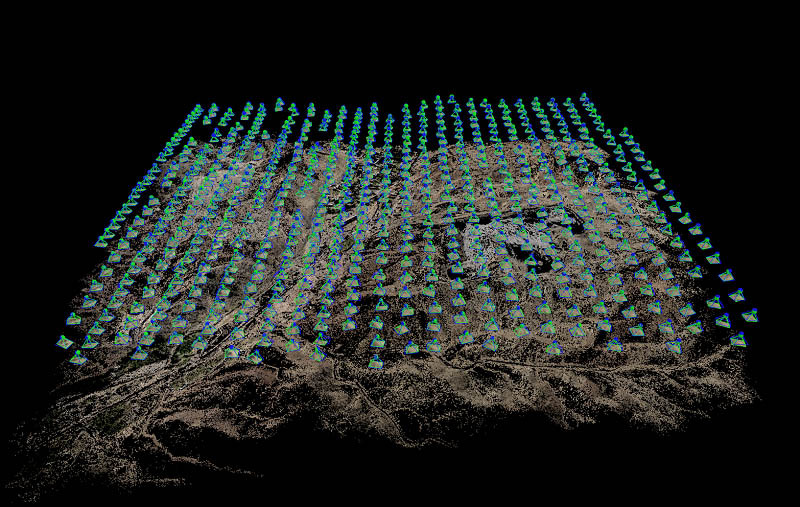 This innovative combination of computer vision and photogrammetry enables the rapid creation of maps and surface models as well as their preservation, making monitoring an area over time much easier. Watch the flythrough video.